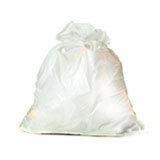 These are the biggest bags we have: the monster bags made to fit your 95-96 gallon outdoor garbage cans. Rollaway cans like this can be hard to fit, which means that they often go without bags. That’s a shame: it makes a mess, results in odors, and attracts flies. And when your rollaway can is this big, washing it out is a huge undertaking. 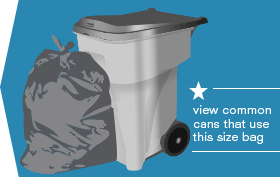 The right commercial garbage can liners can save you a lot of hassle. 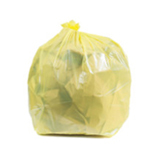 Our 95-96 Gallon Bag collection offers many bags that usually work well in the cans below. 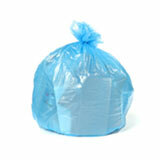 In our collection of 95-96 gallon trash bags you’ll find several different colors and thicknesses to choose from. All of our 95-96 gallon bags are made from thick low-density plastic to offer great strength, flexibility, and resilience, even under demanding loads. 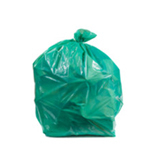 We offer traditional black garbage bags, clear trash bags, and blue recycling garbage bags to make sorting your refuse a breeze. 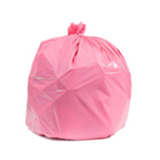 We offer especially heavy duty garbage bags in this size for rougher trash: at 2.0 mil thick, they can stand up to sharp bones, broken glass, and pointed corners without puncturing. 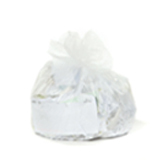 The lighter 1.5 mil trash can liners are still strong enough to cope easily with most regular trash. 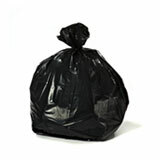 Large trash bags on this scale can be expensive and difficult to find. 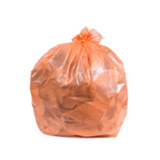 Choosing wholesale garbage bags from Plastic Place solves both those problems in one fell swoop, and thanks to our 100% satisfaction guarantee, you can order with absolute confidence. 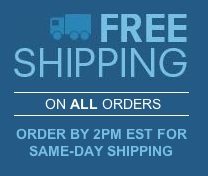 If you’ve got any questions, we’re happy to counsel you before you buy. 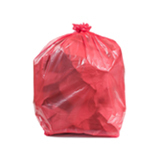 We’ll help you decide which bulk trash bags are right for your home or business. Once you get your bags, we’re always on hand to answer any concerns that might arise. We don’t just offer high quality bulk can liners at great prices, we pride ourselves on friendly, responsive customer service.